With a reduction in the number of junior doctors available to support the delivery of surgery, educating non-medical surgical assistants is now the way to resource consultant-led surgical teams to ensure safe care in theatres. It is 25 years since the Oxford Heart Centre appointed the first British nurse to be formally trained as a non-medically qualified surgical assistant. The number of nurses and allied health professionals undertaking surgical roles has increased to make up the shortfall in the surgical workforce. There are two main levels of surgical assistant: surgical care practitioner (SCP) and surgical first assistant (SFA). An SCP is a registered non-medical practitioner in an advanced role, who has completed a master’s level programme accredited by the Royal College of Surgeons, or other previously recognised course, working in clinical practice as a member of the extended surgical team. The SCP performs surgical intervention, pre-operative care and post-operative care under the direction and supervision of a consultant surgeon. An SFA is a registered operating theatre professional in an extended practice role, who provides competent and dedicated assistance under the direct supervision of the operating surgeon throughout the procedure, while not performing any form of surgical intervention. The Association for Perioperative Practice (AfPP) strongly believes that the skills SCPs and SFAs provide are essential to the safe delivery of surgical services. The AfPP has formed an alliance with the Royal College of Surgeons, Edinburgh, to develop a faculty to support this group of practitioners with continuing professional development and training. While cost-cutting should not be at the core of this changing environment, it does play some part in developing career opportunities for the wider surgical team. This cannot be viewed as a quick fix; these roles have been evolving for almost 25 years and the core collegiate is becoming an indispensable element of the wider team. In a readers panel in Nursing Standard last year, Beverley Ramdeen, senior lecturer in adult nursing at the University of Hertfordshire, said any nurse undertaking surgical procedures currently performed by consultants ‘must be a band 8, with proven competencies in that particular field and have the required skill set to manage the public’s expectations’. The AfPP is an advocate of training for these practitioners, who should not be expected to undertake a specialist role without the necessary training and supervision. There is currently no nationally agreed framework for SFAs, nor is there a curriculum of training. The association has gone some way to addressing this gap with the provision of an SFA competency toolkit. The resource provides a means by which perioperative practitioners can demonstrate their competencies while ensuring patient safety. 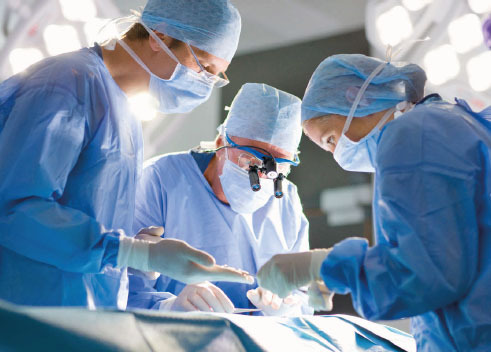 These roles offer significant perioperative career progression for senior staff. However, roles do require effective clinical governance to ensure practitioners are not working outside of their agreed clinical boundaries and responsibilities, which may incur litigious reactions. There is clear evidence to show that inappropriate expectations of surgical staff and responses from theatre staff causes a blurring of practice boundaries. With support, engagement and leadership from their surgical colleagues, the next generation of non-medical assistants should feel safer in their rewarding roles.